I've developed quite the obsession with Isabelle Arsenault. Clever, whimsical, with highly-styled imagery that still retains a certain simplicity--it's just perfection, really. In this divine alphabet book (another obsession), she takes an entirely different, original (another obsession!) tack with the ABCs by featuring the phonetic alphabet. From alpha through bravo, charlie, delta, echo ... all the way to x-ray, yankee, zulu--each word is opposed by a full page image in muted tones and with clever imaginings. 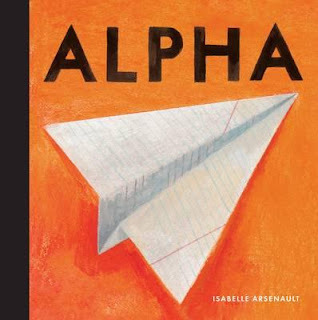 A must for alphabet book collectors.